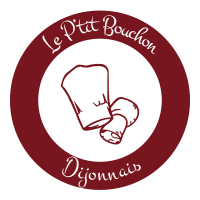 the Dijon lil cap have just opened a new terroir cuisine, re-opened on 1 February 2015 together with my wife, I offer a kitchen or grandmothers dishes simmer longer. The menu is deliberately limited, but a week day menu, coffee flat entry for 12.50 e invites you to a gourmet break in the workday. Our annex room and our garden terrace are already known for the calm and welcoming and unobtrusive that they bring. Discover the pudding with two apples, fresh salmon in sauce, ham sauce oven with wine and mushrooms, the grilled sausage, not forgetting the homemade pies, fruit salads, sundaes and cake with pineapple, tiramisu re -Visit the punch home and our tasting coffee. plus a wide selection of wines for all palates.